03. 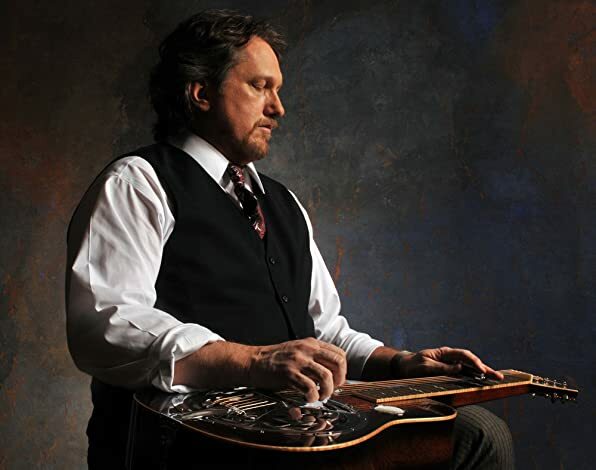 "So Here We Are"
Φ Although he's a gifted multi-instrumentalist, Jerry Douglas has become world-renowned for his mastery of the resonator guitar a/k/a the Dobro. In fact, James Taylor told Guitar Player magazine that Jerry Douglas is "the Muhammad Ali of the Dobro." With friends like that, it's no wonder that a whole lot of other friends would hop on board Jerry's latest album, Traveler, lending vocal and instrumental support to the 11-song collection that's due for release on eOne Music June 26. ≈ The liner notes for Traveler, the follow-up to his 2009 holiday collection, Jerry Christmas!, read like a who's who of popular American music, with guest vocals from Eric Clapton, Marc Cohn, Keb' Mo', Alison Krauss and Union Station, Mumford & Sons and Paul Simon. Also along for the ride: Sam Bush (harmony vocals and mandolin), Dr. John (piano), Béla Fleck (banjo), Omar Hakim (drums), Viktor Krauss (bass) and Del McCoury (harmony vocals), among others. ≈ "This record is the culmination of a long career spent making friends and lending my sound to theirs," says the three-time CMA and 11-time ACM Musician of the Year. "This time my friends have come on board to lend their voices to me." 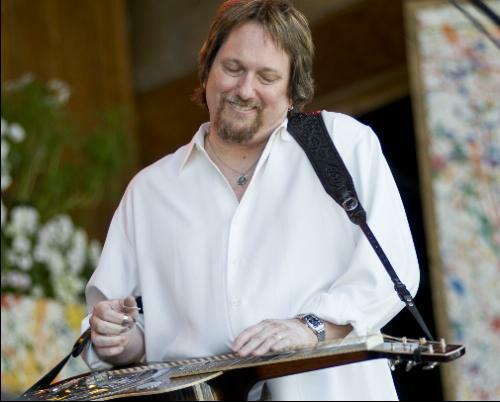 Φ The phrase living legend may be overused, but in the case of the master Dobro guitarist Jerry Douglas, it s also an understatement. In addition to his first-call status as a Nashville recording icon, hes adored by rock musicians like Paul Simon, Elvis Costello, James Taylor, and John Fogerty, all of whom have featured him on tours. Jerry is a 13-time GrammyÂ© winner and the long-time featured soloist with the multi-platinum Alison Krauss and Union Station. And he was an NEA Heritage Foundation grant winner in 2004. Φ With Traveler, Jerry has finally recorded an album that will even further elevate his already impressive stature from super-sideman to a bona fide front-rank creator of musical Americana. Produced by Russ Titelman (Eric Clapton, Paul Simon, James Taylor, Ry Cooder, Little Feat, etc. ), and recorded in New Orleans, Nashville, and London, this ambitious collection of vocals and instrumentals enlists a truly awesome cast of characters in support of an epic vision that combines Country/Bluegrass, R&B, and even a ballad with roots in the British Isles (Paul Simons The Boxer performed with Mumford & Sons and the song s composer.) Other highlights include two New Orleans classics--- Something You Got, with vocals and guitar by Eric Clapton; and High Blood Pressure, with vocals by Keb Mo and a gang of the Crescent City s finest including Dr. John. Φ Traveler, the new album from world-renowned musician Jerry Douglas, will be released June 26 on eOne Music. This is Douglas’ first solo release since his acclaimed 2009 Christmas album Jerry Christmas! and features special guest vocals from Eric Clapton, Mumford & Sons, Paul Simon, Keb’ Mo’, Marc Cohn and Alison Krauss and Union Station. The 11-track album also features legendary musicians Dr. John (piano), Béla Fleck (banjo), Del McCoury (harmony vocals), Sam Bush (harmony vocals and mandolin) Omar Hakim (drums) and Viktor Krauss (bass), among others. ≈ Recorded in Nashville, New Orleans, New York and Banbury, U.K., Traveler was produced by Russ Titelman. Songs include versions of Paul Simon’s “The Boxer” and “American Tune,” as well as several original tunes from Douglas (“So Here We Are,” “Duke and Cookie,” “Gone to Fortingall” and “King Silkie”). Of special note is Douglas’ rendition of the Leadbelly classic “On A Monday,” which marks his lead vocal debut. Internationally recognized as the world’s most renowned Dobro player, Douglas ranks among the top contemporary artists in American music. Douglas has garnered thirteen Grammy Awards while holding the distinction of being named “Musician of the Year” by The Country Music Association (2002, 2005, 2007), The Academy of Country Music (11 times), and The Americana Music Association (2002, 2003), as well as numerous International Bluegrass Music Association awards. Douglas is the recipient of a Lifetime Achievement Award from The Americana Music Association, and was honored as the 2008 Artist In Residence at the Country Music Hall of Fame in Nashville, TN. In 2004, the National Endowment for The Arts honored Douglas with a National Heritage Fellowship, acknowledging his artistic excellence and contribution to the nation's traditional arts, their highest such accolade. Φ In addition to his groundbreaking work as a member of Alison Krauss & Union Station, The Country Gentlemen, J.D. Crowe & The New South, Boone Creek, Strength in Numbers, Elvis Costello’s Sugarcanes, and others, Douglas has graced over 2,000 recordings by such distinguished artists as James Taylor, Paul Simon, Ray Charles, Lyle Lovett, Elvis Costello, Garth Brooks, Charlie Haden, Earl Scruggs, Phish, Emmylou Harris, Bill Frisell, The Chieftains, and the eight million-plus selling soundtrack to O Brother, Where Art Thou?. 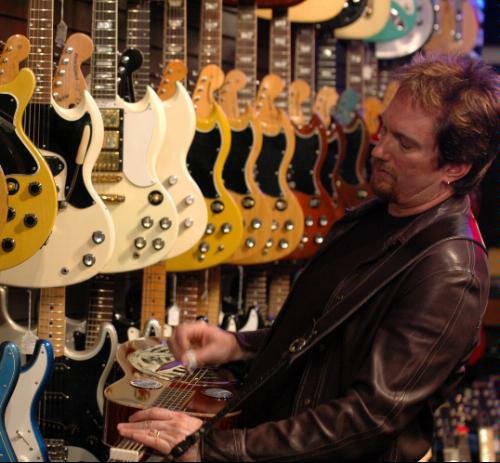 Φ In addition to his thirteen solo recordings, Douglas has played on more than 1600 albums. As a sideman, he has recorded with artists as diverse as Ray Charles, Eric Clapton, Phish, Dolly Parton, Paul Simon, Mumford & Sons, Keb' Mo', Ricky Skaggs, Elvis Costello, and Johnny Mathis, as well as performing on the O Brother, Where Art Thou? soundtrack. He has been part of such notable groups as The Whites, New South, The Country Gentlemen, Strength in Numbers, and Elvis Costello's "Sugar Canes". As a producer, he has overseen albums by Alison Krauss, the Del McCoury Band, Maura O'Connell, Jesse Winchester and the Nashville Bluegrass Band. Along with Aly Bain, he serves as Music Director of the popular BBC Television series, "Transatlantic Sessions". Φ Since 1998, Douglas has been a key member of Alison Krauss and Union Station, touring extensively and playing on a series of platinum-selling albums. When not on the road with Alison Krauss and Union Station, Douglas tours with his band in support of his extensive body of work. 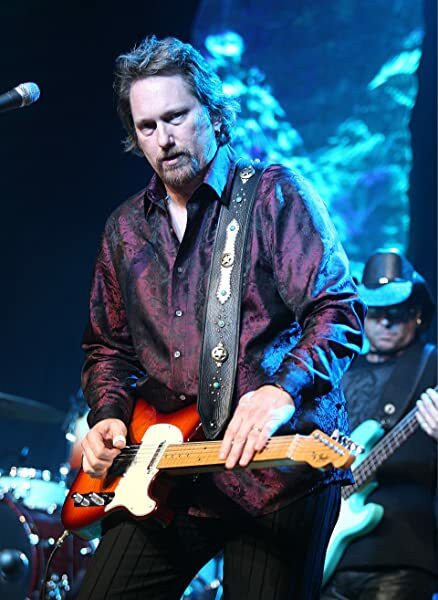 Φ Jerry Douglas appeared with Vince Gill on Eric Clapton's Crossroads Guitar Festival 2004 ("Oklahoma Borderline" and "What the Cowgirls Do"). Douglas lives in Nashville, Tennessee with his wife, Jill. The couple have four children. Φ On Slide Rule, Jerry Douglas moves away from the jazz experiments of Plant Early, returning to the straightforward bluegrass of his early work. The result is a stunner, featuring not only a remarkable performance from Douglas, but also from an impressive list of guest musicians, including Alison Krauss, Sam Bush, Maura O'Connell, Stuart Duncan, and Tim O'Brien. Φ Everything Is Gonna Work Out features Jerry Douglas' first two albums -- Fluxology and Fluxedo -- on one compact disc. The two records showcase the dobroist at his rootiest, and contain some wonderful traditional bluegrass, which is occasionally spiked by jazzy flourishes. Φ Though all of his releases are dobro tour-de-forces, this is a highly sophisticated ensemble album with some of the best players in the new- acoustic realm, including Mark O'Connor, Russ Barenberg, Bela Fleck, and Sam Bush. With seven of the ten tracks written by Douglas, the album is also a tribute to his inventive compositional style. Φ Jerry Douglas sure can play the dobro. As the world's undisputed premier dobro player, Douglas has played with just about everybody. And, as would befit somebody with that kind of distinction, his playing is utterly virtuosic. The only question left, then, is what he wants to do with it. On Lookout for Hope, Douglas' fifth release for Sugar Hill, Douglas delivers up his usual newgrass, accompanied by some of the usual newgrass heavyweights, including Sam Bush, Stuart Duncan, and Jeff Coffin. Maura O'Connell, James Taylor, and Phish guitarist Trey Anastasio turn in appearances as well. Douglas tries to do a lot. "Patrick Meets the Brickbats and "Cave Bop," for example, show off his lightning-fast playing. They are dazzling displays, but ultimately none too satisfying. Douglas does far better in milking the slow, bittersweet tones of the instrument, such as he does on a cover of Duane Allman's "Little Martha." The ten-minute title track (and album centerpiece), penned by jazz guitarist Bill Frisell, is most intriguing, combining Middle Eastern-sounding scales (such as on David Grisman's "Arabia" opus) with resonant and percussive acoustic sounds. As the master of the instrument, Douglas can do pretty much whatever he wants. Lookout for Hope does not find him resting on his laurels. Instead, he explores a variety of settings and moods, all bound together with the distinctive sound of his instrument.